Jairam Thakur wants stricter provisions against drug abuse, including a bail bar even if you possess small amounts. New Delhi: The Bharatiya Janata Party (BJP) government in Himachal Pradesh wants the hill state and hippy haven to be drug-free. Chief minister Jairam Thakur has told ThePrint that the state will soon seek amendments to the Narcotic Drugs and Psychotropic Substances (NDPS) Act to deal with peddlers and possessors much more strictly. For one, he wants no bail for those caught with drugs, regardless of the amount found on their person. Also, Thakur added, there should be a provision in the Act to attach properties of convicted drug peddlers. “We will be writing to the Centre soon to amend the central Act to provide for these (changes),” said Thakur. Interacting with ThePrint at Himachal Sadan in the national capital Saturday evening, he said checking drug abuse was one of the priorities of the state’s current BJP government, which assumed office in December last year. As it is, offences under Section 37 of the NDPS Act are cognisable and non-bailable, but various courts have given different interpretations that have led to some dilution. In 2012, for instance, the Delhi High Court ruled that anyone found with a small quantity of drugs had to be given bail. The decision came on a petition by the mother of a St Stephen’s student allegedly caught with 100 g of charas. About one-fourth of youngsters in Himachal Pradesh are estimated to be exposed to drug abuse. Local media reports recently quoted a government affidavit in the high court as stating that 94 kg of charas, 3 kg of opium, 480 g of heroin and thousands of tablets and capsules were seized from April to June this year alone. Many tourists treat Shimla, Kullu-Manali and other hill stations as recreational drug centres. Drugs such as ‘malana cream’- extracted from the cannabis plant – and ‘chitta’ – extracted from opium and laced with synthetic drugs – are much sought after by a section of the state’s youth as also by tourists. Thakur, 53, represents a generational shift in state politics, with satraps such as the BJP’s Prem Kumar Dhumal, 74, and Shanta Kumar, 84—as also the Congress party’s Virbadra Singh, 84– virtually nearing the end of their careers. The shift has resulted in innovative approaches to administration. The new chief minister, for instance, has decided to adopt the best practices from other states in the country. He sent an eight-member delegation of MLAs to Sikkim to study organic farming and tourism. He himself is scheduled to visit Madhya Pradesh to understand how the Shivraj Singh Chouhan government has achieved what it has in the agriculture sector. In dealing with the drug menace in Himachal, Thakur is not averse to reaching out across the political divide. He has held a meeting with his counterparts in Punjab, Haryana, and Uttarakhand — Capt. Amarinder Singh (Congress), Manohar Lal Khattar (BJP) and Trivendra Rawat (BJP) — to develop a joint strategy to check drug abuse. “Drug peddlers from Punjab, Haryana and Uttarakhand are operating in Himachal. We need a coordinated strategy to deal with them,” he said. People must have breathing space. Nothing much is heard nowadays but ban n prohibition of one thing or the other. 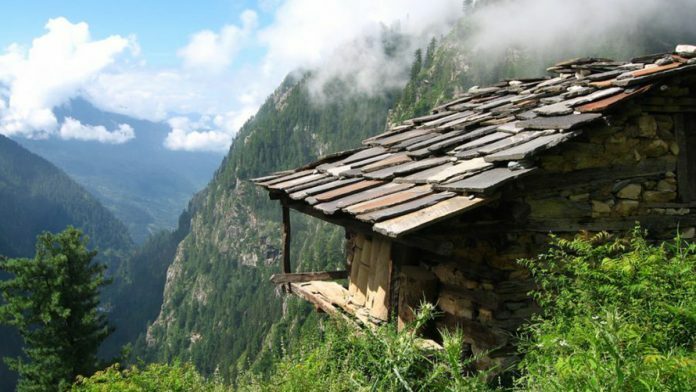 M not ashamed to say that we visit the mountainous state year after year to be amidst the bounty of nature but not without few drags of Malana cream. Am 55 years old n I do carry the gene of wanderlust within…have lived in hippie camps in Goa n elsewhere during the 80s soon after studies. We have a decent travel group consisting of dignified individuals n we define our own lifestyle. The government is selling alcohol in most states in spite of the endless damages it causes both to the individual as well as the society. Agree as it’s a revenue generating business. But why the same is not thought of about marijuana which is far far more organic, has its healing medical properties n far or nil harmful to users ? The same regulations that hold good for alcohol selling, age restrictions etc, be introduced in the case of marijuana but unlisted from the crime list will be a wiser decision expected from the policy makers. Cannabis addiction unlike any other mind altering substance is a myth as endorsed by every educated person these days. What we get in the guise of marijuana these days is mostly laced with pesticides n harmful chemicals which causes addiction. Extensive studies have been conducted in this field n found marijuana is perhaps the mildest of MAS used by humans from time immemorial. In India cannabis is listed under the general term of Narcotics which is a blanket term for hard n soft ‘drugs ‘ because of the pressure from European communities. It’s ironical that many of those countries have either legalised cannabis n its byproducts whereas we still act like their cronies! Why not the government adopt innovative n scientific measures to regulate the use of cannabis instead blindly following the dead Victorian morality? Wife and I spent a blissful week in Manali after we got married; we have never returned but I keep track of developments in that beautiful hill state with a lot of affection and empathy. It has been doing well on social indicators. The hard edged approach the new CM is taking towards drugs will, for a start, drive away many Israeli tourists who love the place. Strikes a very jarring note to my untrained ears. The news that comes out of Madhya Pradesh nowadays is not about high agricultural growth but Vyapam and e tendering scams.